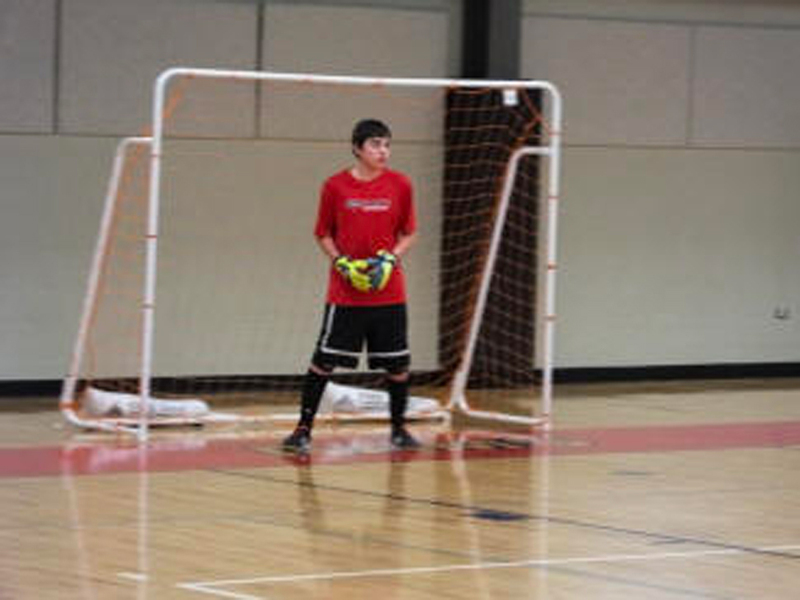 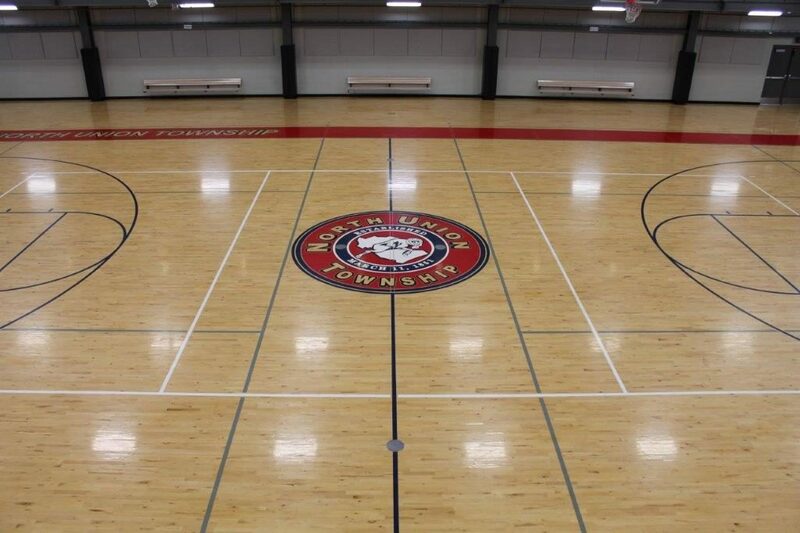 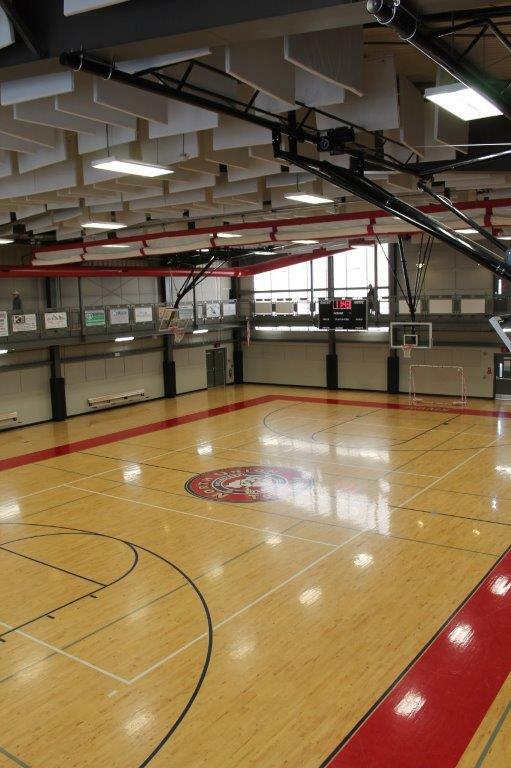 The North Union Recreation Center is a 16,000 sq feet state of the art facility built in 2012. 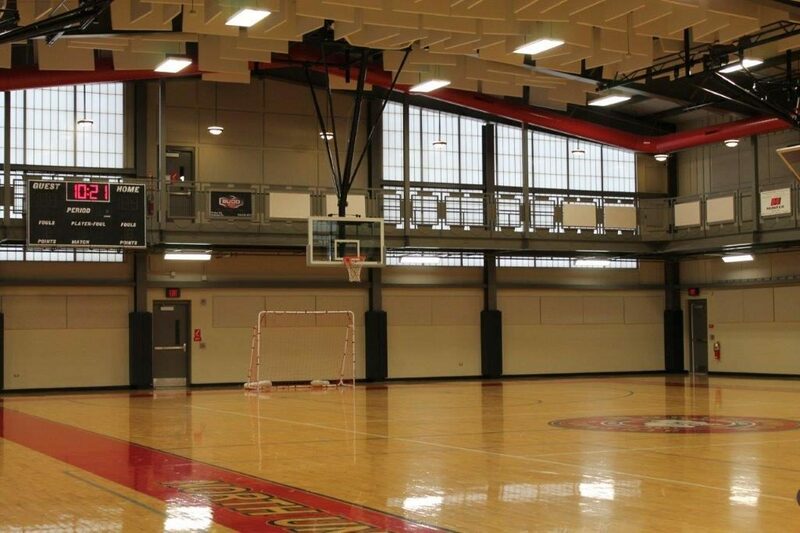 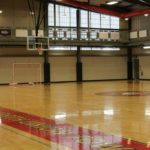 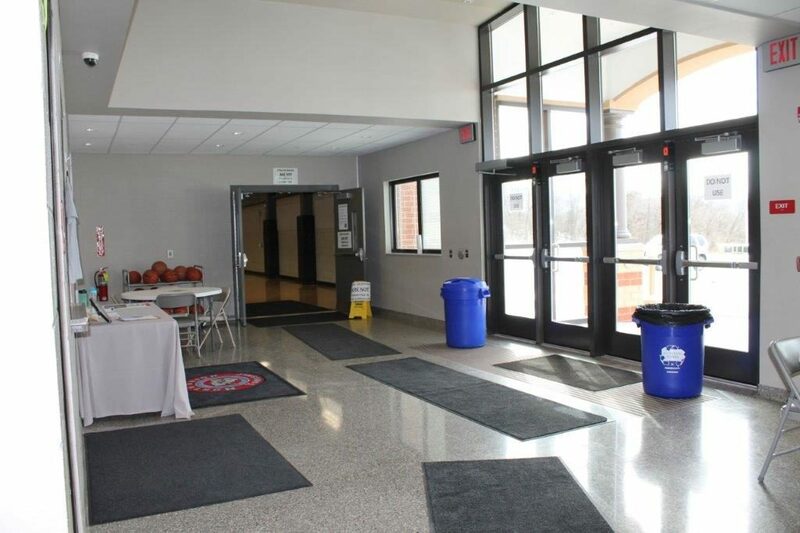 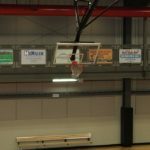 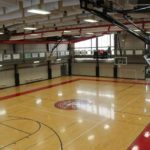 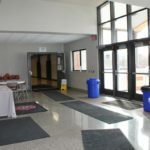 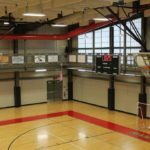 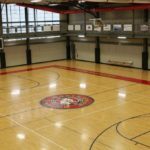 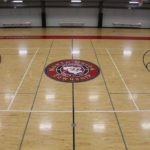 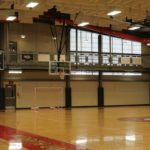 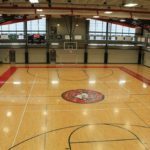 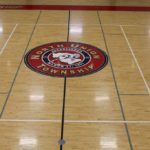 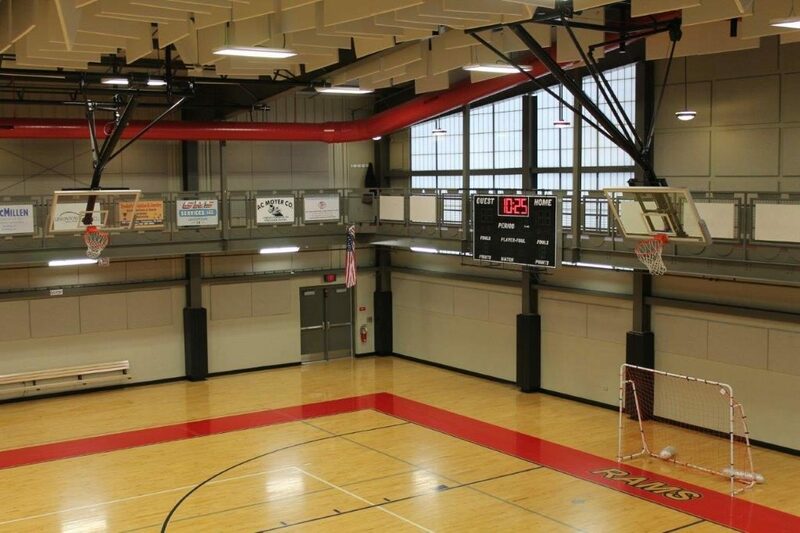 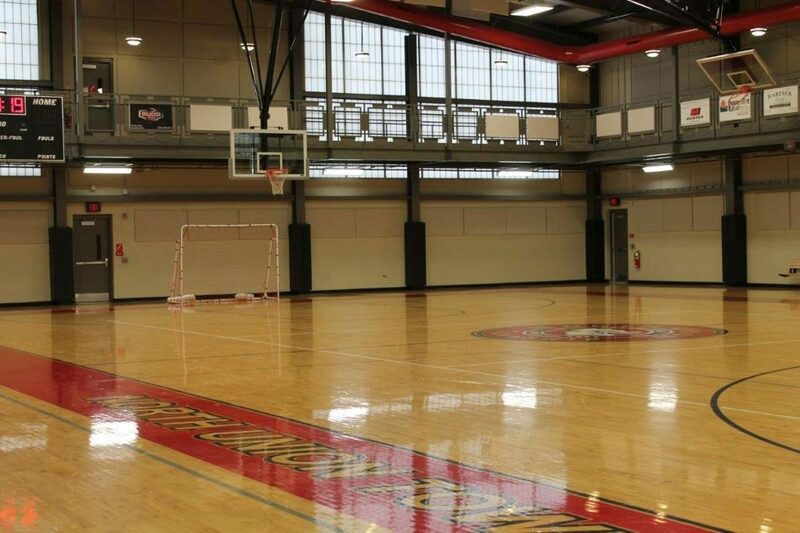 The gymnasium has 6 retractable basketball hoops with 2 being adjustable & the equipment for 2 full sized volleyball courts. 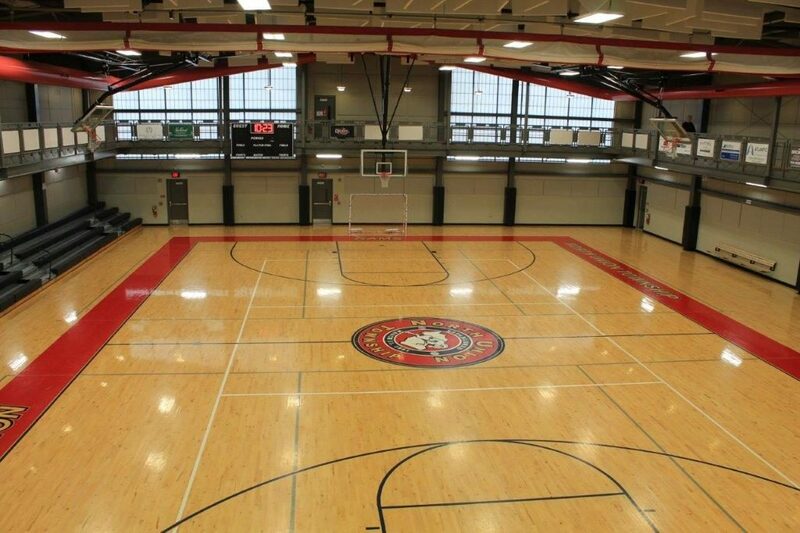 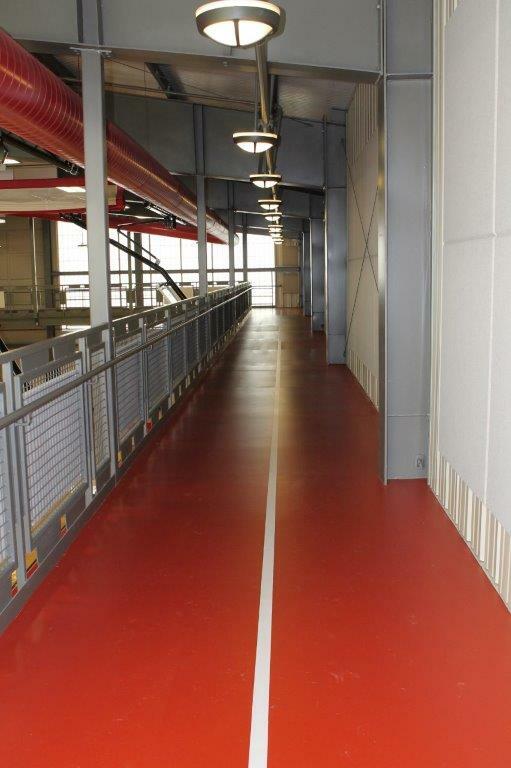 An elevated padded walking track circles the gymnasium. 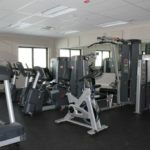 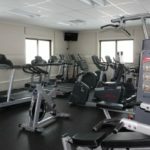 A weight room with new treadmills, ellipticals, stationary bikes and numerous weight machines provides ample equipment for a great workout. 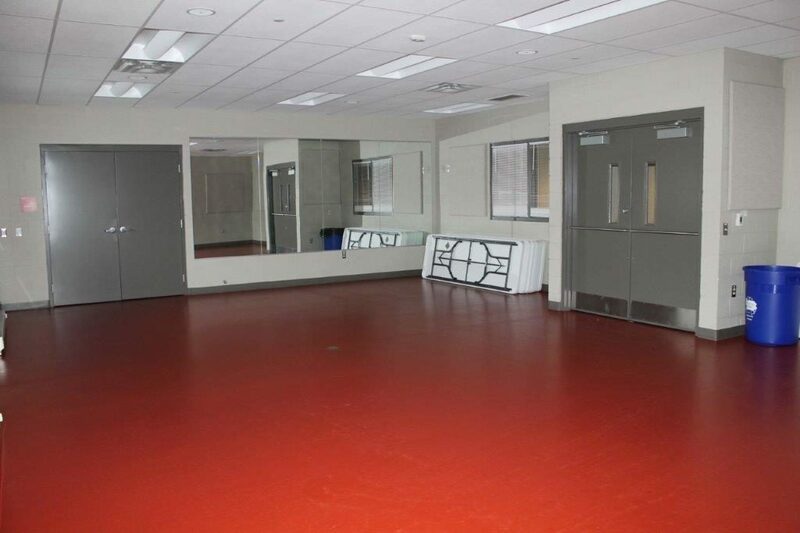 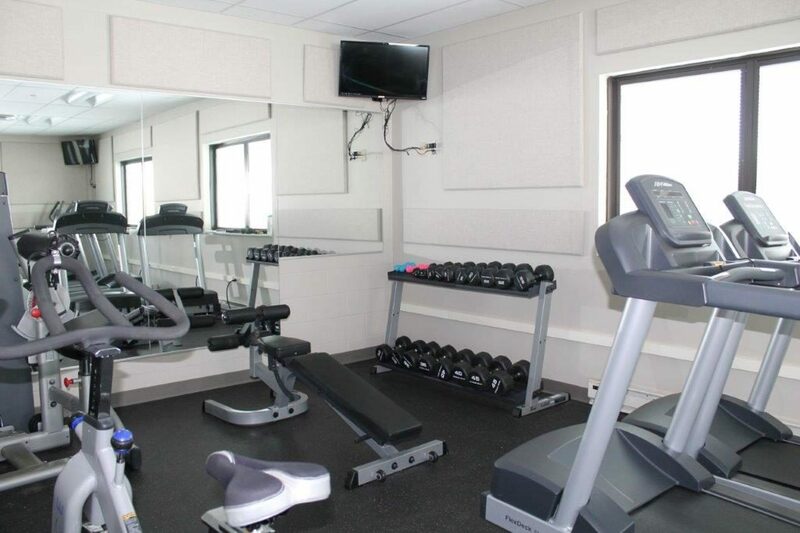 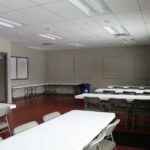 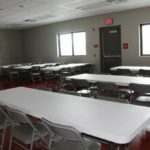 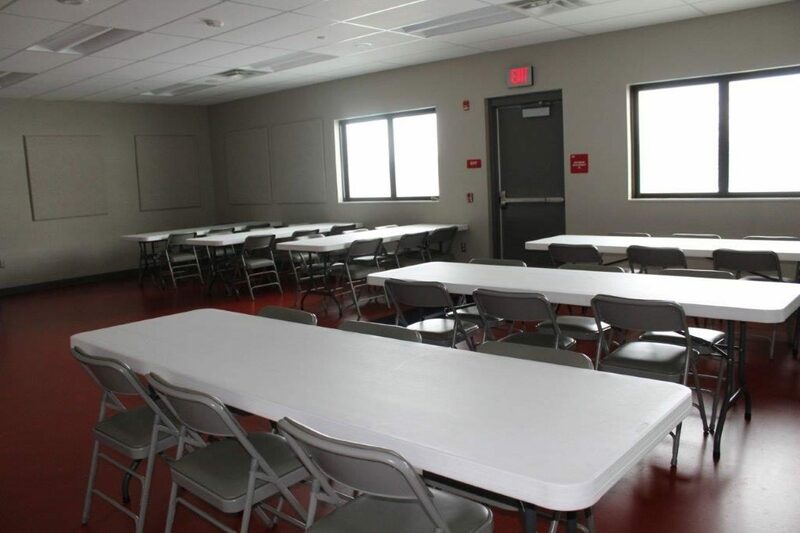 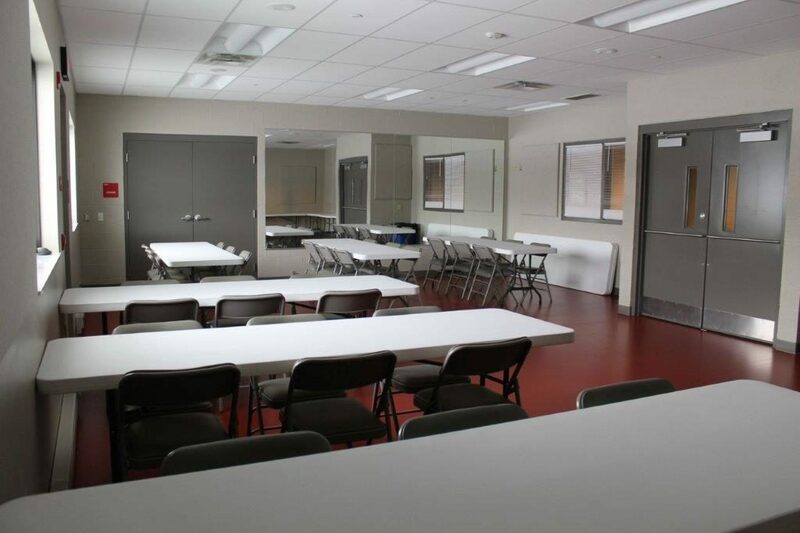 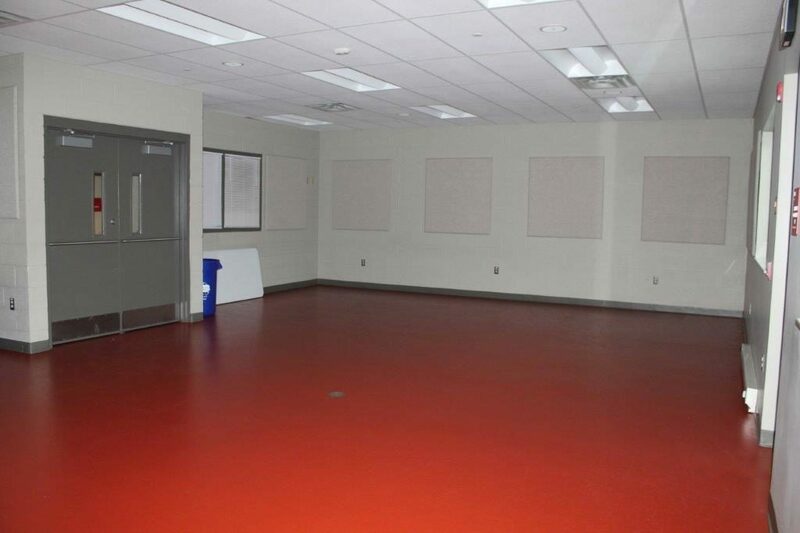 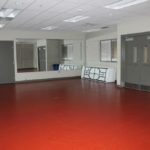 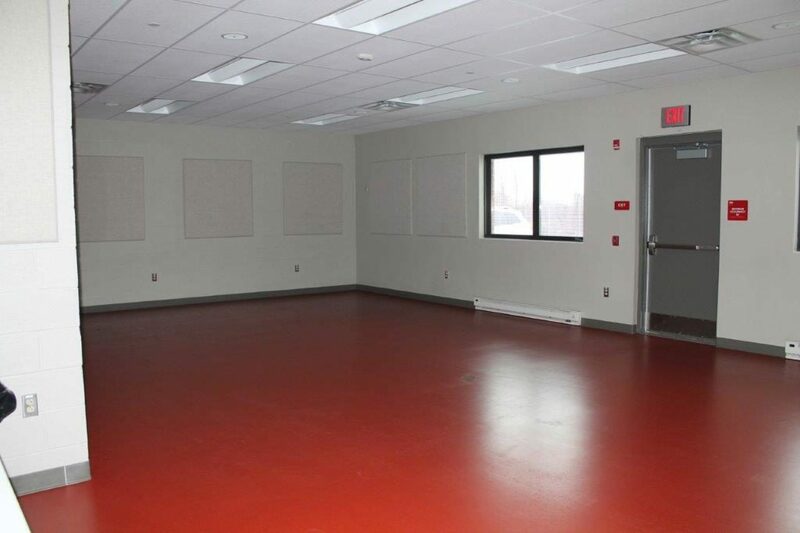 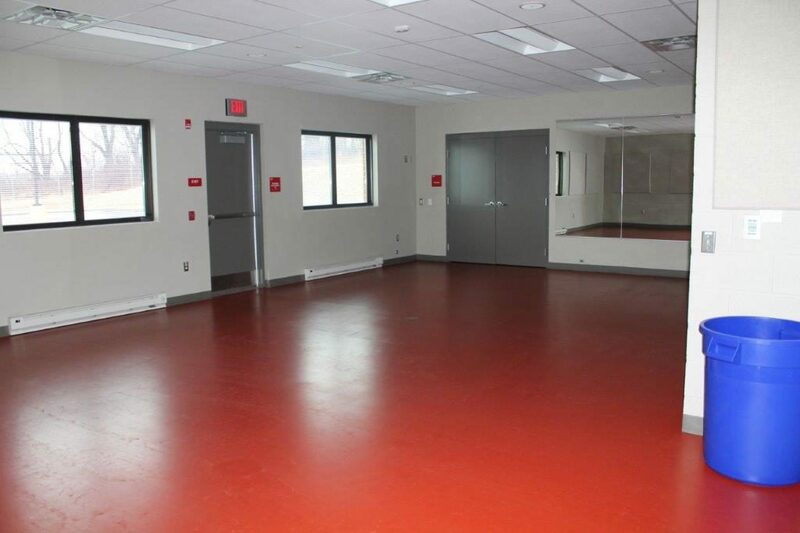 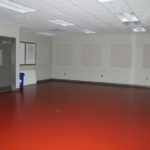 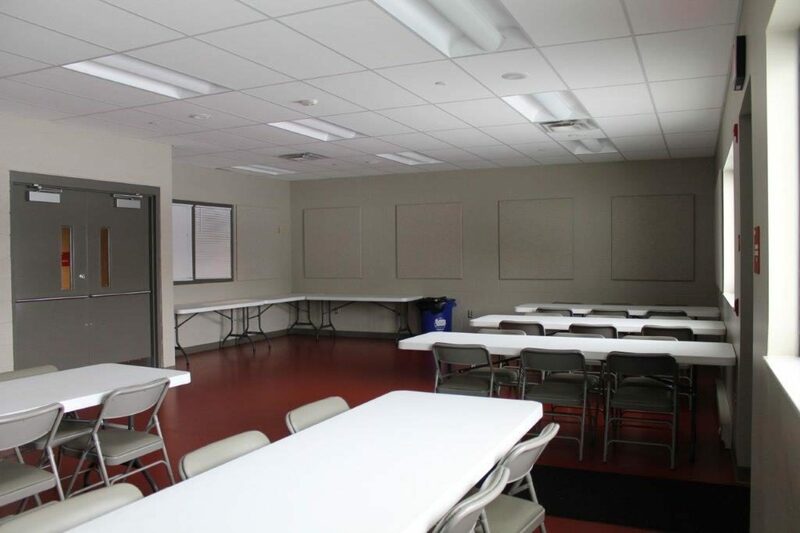 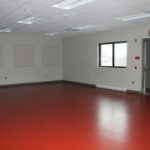 There is a multi-purpose room available to rent for meetings, parties, exercise classes & more. 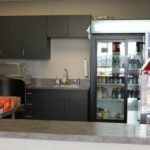 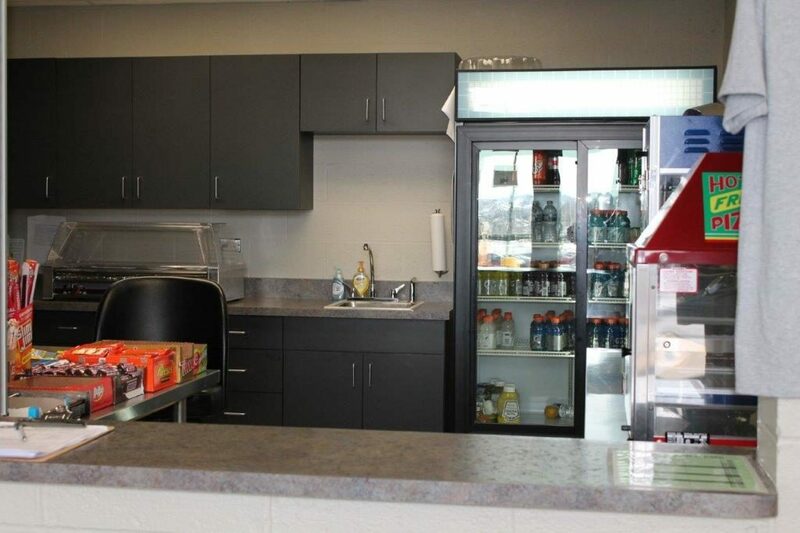 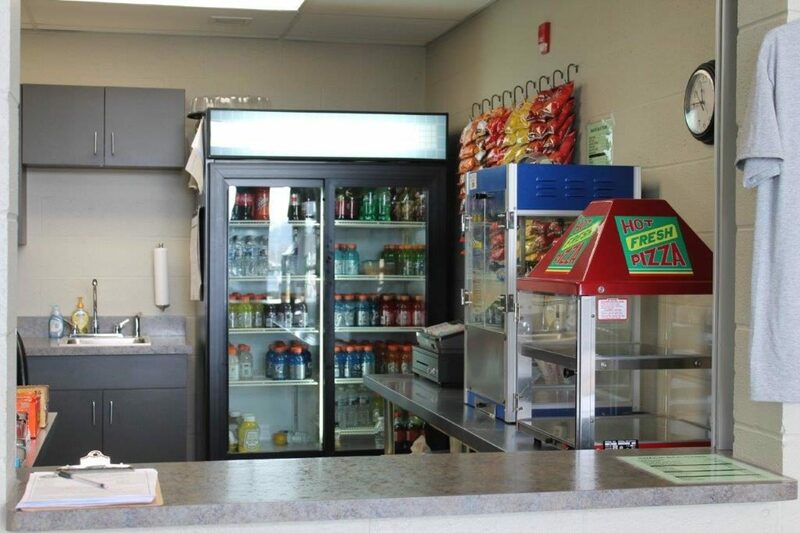 Men’s & women’s locker rooms are available and even a concession area to purchase drinks and snacks. 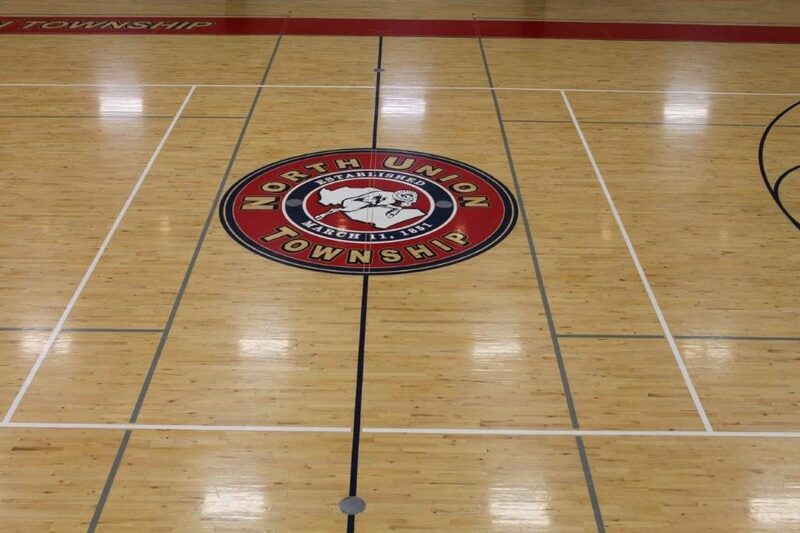 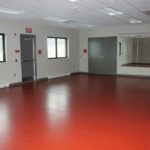 The North Union Township supervisors are soliciting advertisers for our Recreation Center. 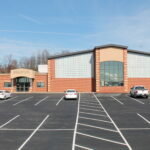 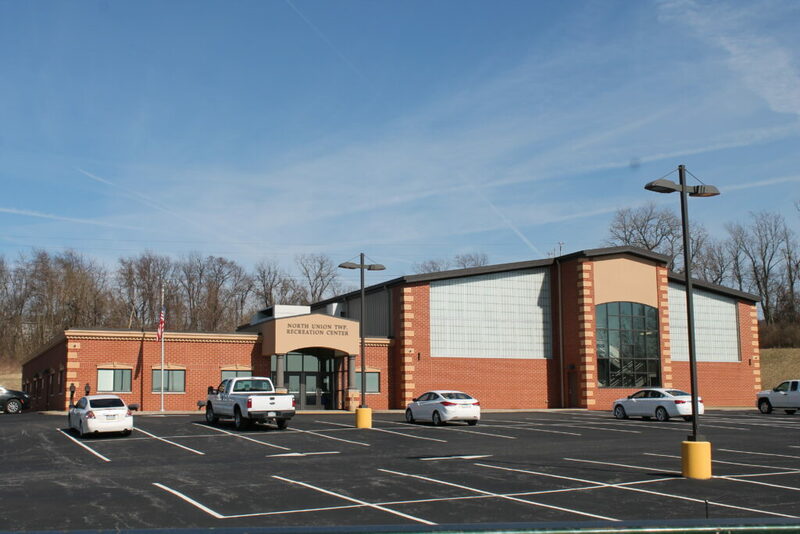 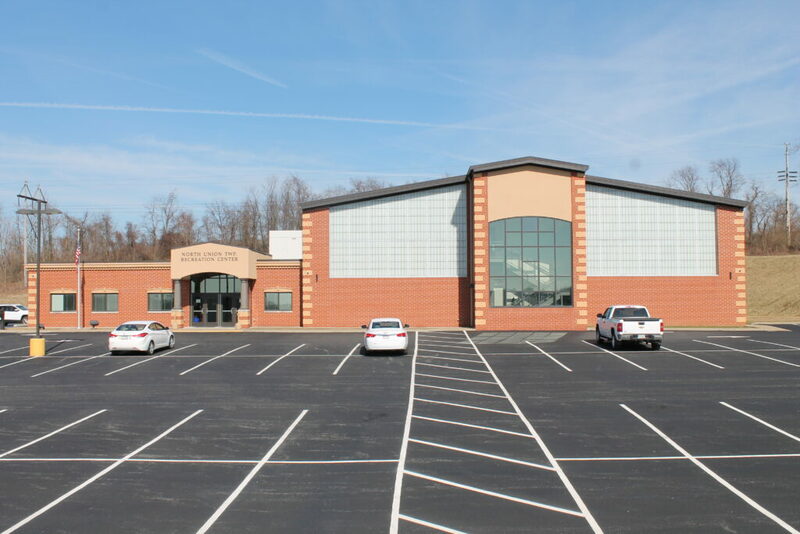 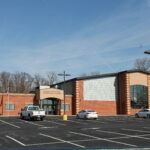 Our community continues to enjoy our state of the art center located within Fayette County. 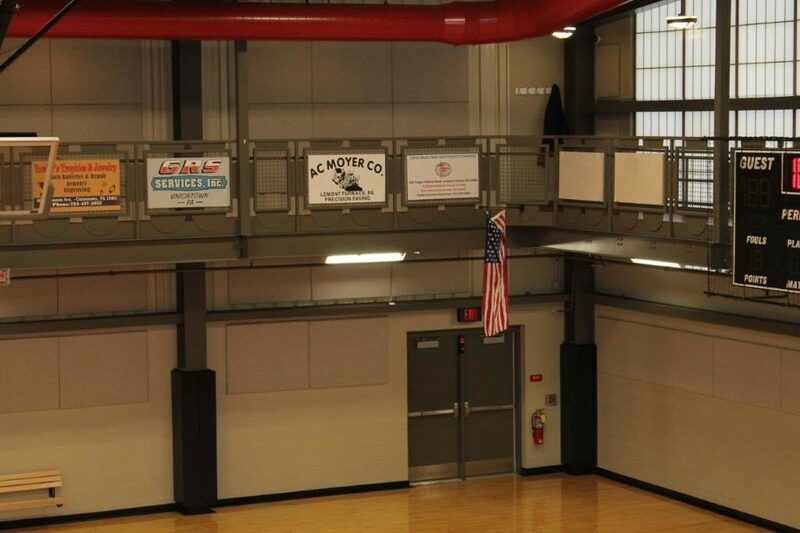 The gymnasium can seat over 200, not including players and coaches. 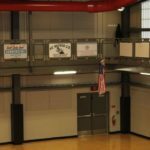 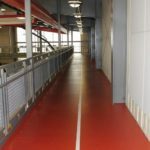 Each ad will be placed on the railing of our indoor walking track to be viewed by visitors in the stands, as well as, those utilizing the walking track. 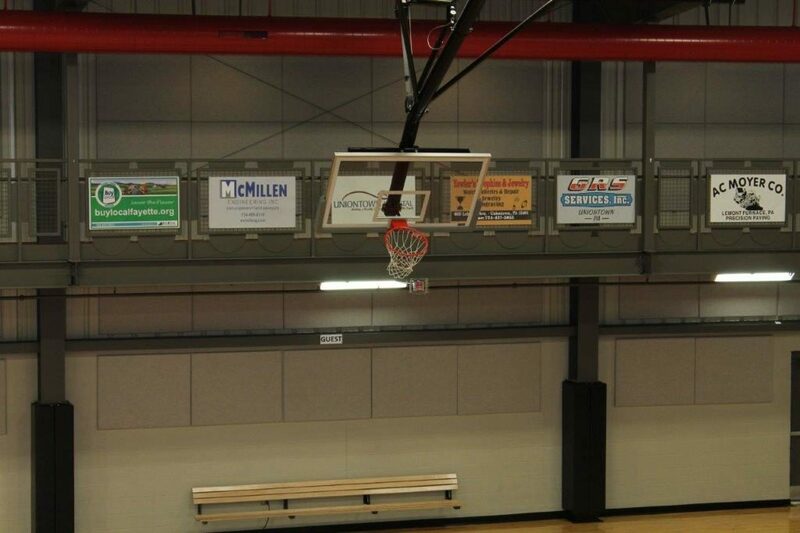 Our signs are 24” X 42” and can be easily designed from a business card or can include a design your business prefers. 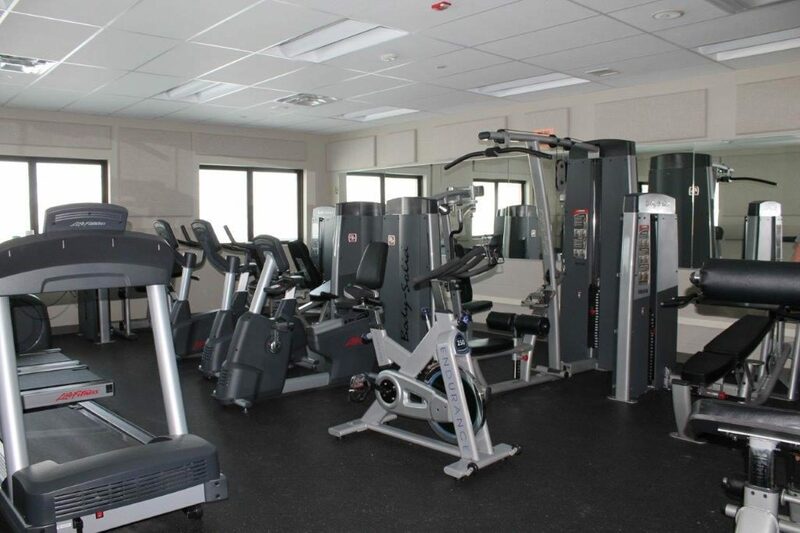 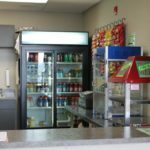 Many residents using our recreation center will easily view your business sign. 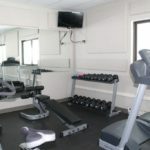 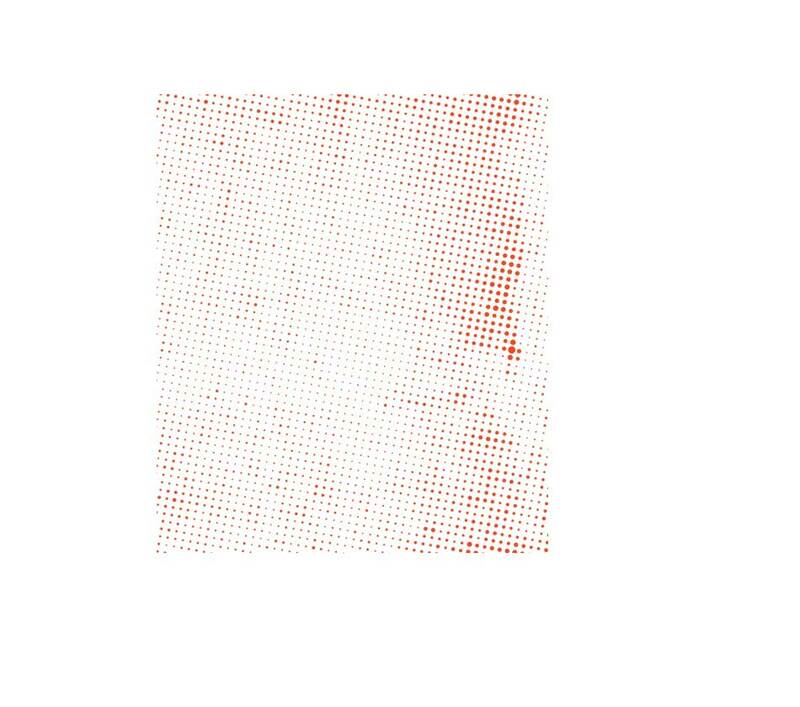 Locations of ads are on a first come basis to where you would like yours to appear. 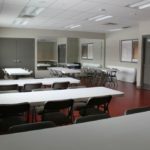 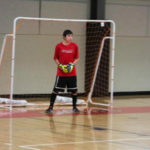 Cost range from $300.00 to $500.00 based on location choice. 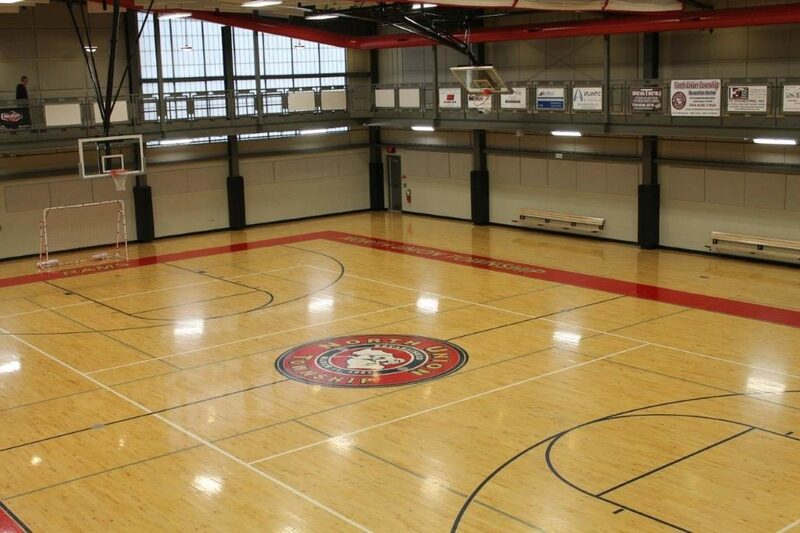 Please see the attached floor layout for price ranges. 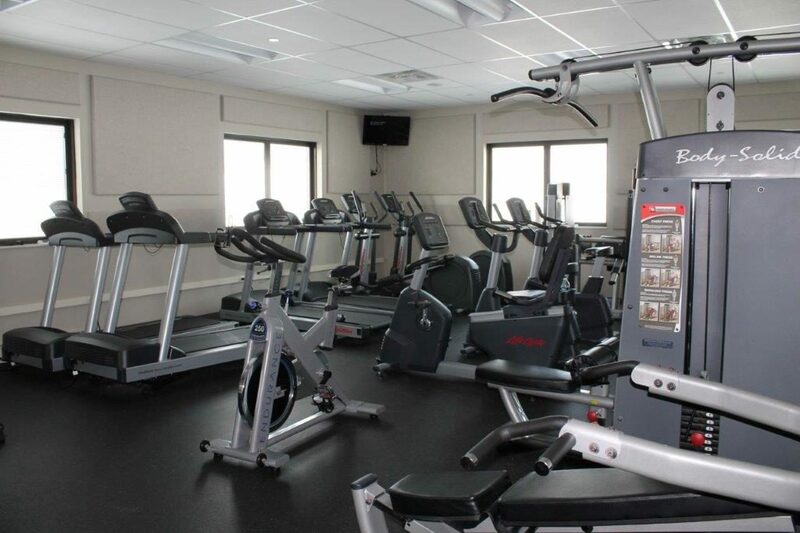 There is a renewal fee for each additional year also based on your location choice.